Canadian miner, Nautilus Minerals, asserts the world’s first deep sea mine to be developed in Papua New Guinea, says it will not be in breach of any international laws. The company was responding to recent reports published by the Catholic Professionals Society, which had claimed there would be breach to the freedom of navigation by international vessels, if the project gets off the ground. 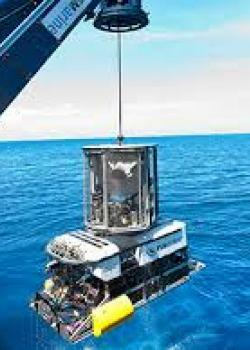 The Solwara-1 project, will be developed in the waters between New Ireland and East New Britain provinces. “This buffer area was approved by the National Maritime Safety Authority (NMSA) in September 2016, with the relevant information sent to the Australian Hydrographic Service for inclusion on the relevant charts,” the miner said. Nautilus said the exclusion zone will ensure shipping does not interfere with mining operations, and will no way impede shipping passing through the St George passage (it doesn’t interfere with the Right of Passage as guaranteed by UNCLOS). “Its position will be marked on maritime charts and will be noted by all vessels and vessel captains,” the firm further stated.